The unions, however, picketed the offices of in-flight service providers, Newrest Aviation Services Limited and Serv Air, at the Murtala Muhammed Airport, Lagos, for alleged anti-labour practices. The News Agency of Nigeria (NAN) reports that the unions are: The National Union of Air Transport Employees (NUATE) and Air Transport Services Senior Staff Association of Nigeria (ATSSSAN). Others are the National Association of Aircraft Pilots and Engineers (NAAPE) and the Association of Nigeria Aviation Professionals (ANAP). Mr Aba Ocheme, General Secretary, NUATE, told NAN that the picketing of Caverton Helicopters was suspended following the agreement by the management to pay all the sacked workers their entitlements. 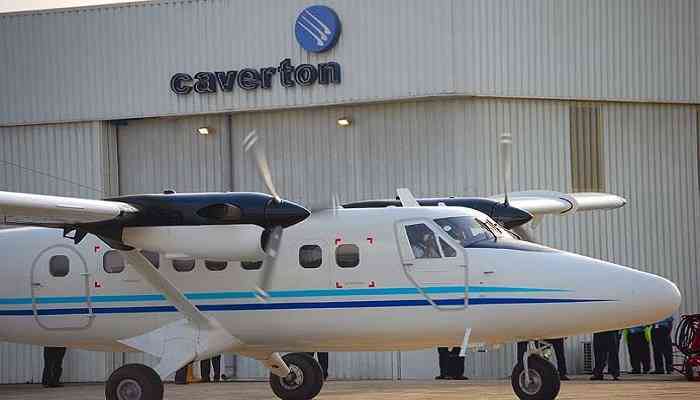 “This morning, we held a meeting with the management of Caverton and they have agreed to pay the severance benefits of all the sacked workers within five weeks. “They have also agreed to look into other pending issues concerning staff welfare, and have promised to give us feedback soon,” Ocheme said. On the picketing of the in-flight service providers, he said both organisations had prevented their members from joining unions in the aviation industry. “We have a court case with Newrest ASL at the National Industrial Court, Lagos, over this issue, but there is no court order that we cannot picket the company. “We have some persons who have indicated interest to join us and are even paying check up dues, but the management is preventing them from doing so. “They have even gone further to make the job difficult for these persons by victimising them,” the general secretary said. He disclosed that the picketing of both companies would continue on Tuesday, as other affiliate trade unions from outside the aviation sector had indicated interest to join the protest.